The plan is to have a folder where I can just drop pictures to and it will display for everyone to see. I use it on Latin Nights, I tell everyone to tag our page with the pictures they want displayed on the screens. I then just download the pictures to the specific folder I set for the QTZ file to display and it will automatically update the slideshow with the new pictures. I’m working on shuffling the pictures but I haven’t gone that far. Another option is to use an eyefi sd card and have a friend take pictures of our party guests and automatically upload to the QTZ folder on my mac for it to display without worrying on inserting the sd card on my laptop and moving the pictures. Some Dj’s who know how to code probably already have a file like this, but I wanted to share with everyone this awesome idea. 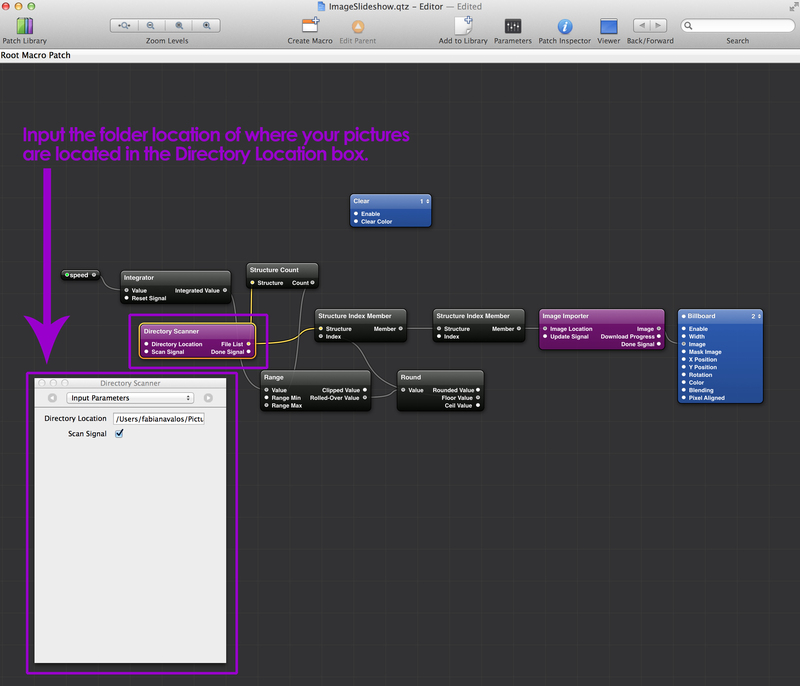 You will need Xcode to change the directory location of the folder your pictures are in.